Who needs a babysitter? 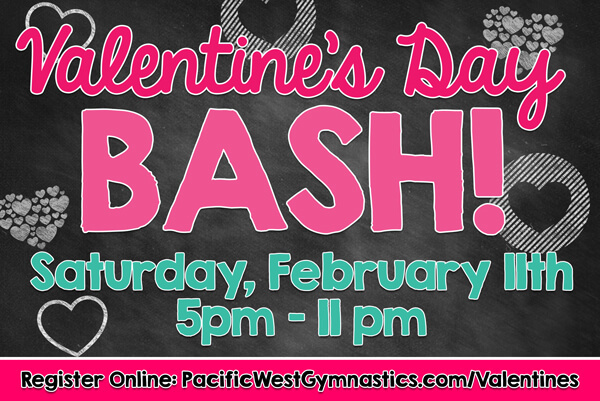 Pacific West Gymnastics will be hosting an exciting Valentine’s Day Party on Saturday, February 11, from 5pm to 11pm! We will be offering a variety of activities for your child to enjoy in a SAFE, SUPERVISED and FUN environment!